Captain Chris Wilson is the owner and operator of Rivers End Outfitters. Capt. 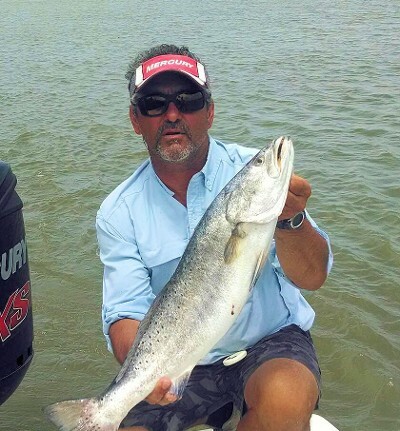 Chris was born and raised in southeastern Louisiana and has a lifetime of experience fishing the incredible waters of the local area. His wide range of outdoor interests has always intertwined with his passion for fishing. If you are looking for some of the best fishing in the world, make a trip to Venice, Louisiana. Venice is located near the southeastern tip of Louisiana. Venice is the starting point for some of the best fishing in the world. 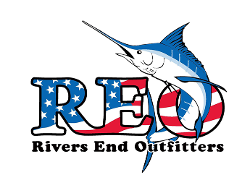 From big speckled trout and bull reds to record-setting tarpon, sailfish, and yellowfin tuna, you're sure to enjoy the fishing trip of a lifetime in Venice with Rivers End Outfitters. We can make your fishing dreams become a reality! "Captain Chris did a phenomenal job of putting us on the fish. On a 20 mile per hour wind day after a cold front. We could not have asked for a better time and combined with Dana, these folks run a top notch biz. We look forward to fishing again with them next year." "Captain Chris is the man. He knows the area like no one other and always makes sure you have a great time. Cant wish to fish with him again (not to mention his cooking!)." I’m a local captain and I was born and raised in the area. I have fished the waters of the Mississippi Delta all my life. Just a 90-minute drive from the city of New Orleans and it's a whole new world south of the city. 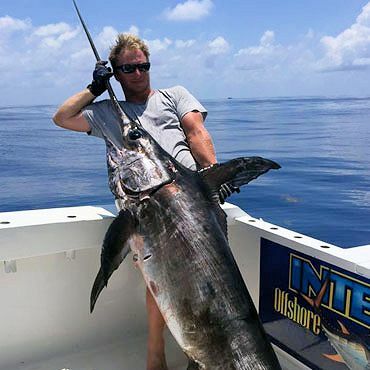 Venice, Louisiana is literally at the end of Highway 23 and boasts some of the best offshore fishing for yellowfin tuna, marlin, sailfish, wahoo and snapper. I have been fishing in Venice as both a mate and captain since 2009. I have fished these waters all my life and have extensive knowledge of the area and the fishery. Captain Kyle is the man! I've fished with a lot of guides and this guy knows his stuff. He keeps his boat and gear in great shape and he knows fishing! He works hard and if anyone can find the fish he can! This was our first trip with Capt. Kyle. He worked his tail off for our crew! We had a great time, and will definitely book with Kyle again. Captain Kyle grey and staff are a great group of guys that definitely know and can put fish in the boat, our crew had a great time with these guys not to mention had two tuna on the first drop and ended the night with a limit a great yellowfin in four hours!! Thanks CAPT KYLE AND JASON GOOD TIMES! !